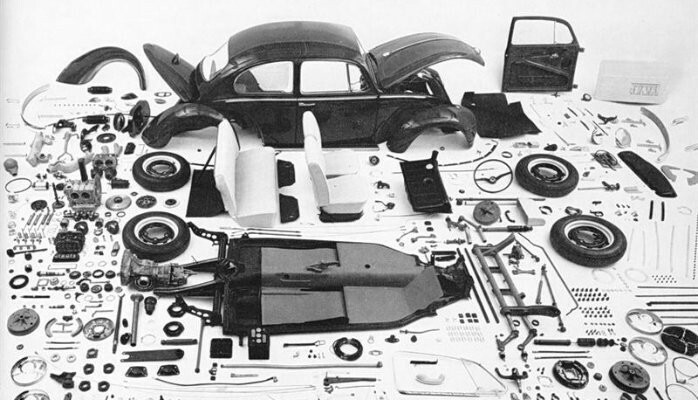 Bills of Material (BoMs) are the lifeblood of product creation – from a wider perspective, BoMs mature as the product evolves: from concept to development, prototyping, start of production, launch, service, etc. CAD product structures, engineering, manufacturing and service BoMs have different purposes, they are used differently while they feed each other with certain common attributes and characteristics that describe the product with its business features and dependencies. They are typically made of part numbers which are used within a manufacturing company as a way for individuals and departments to identify and track parts and components. All part numbers are not born equal: they have different meanings depending of the purpose that they serve. BoMs also differ from one industry to another, based on certain standards and requirements for traceability, intra- and inter-organizational collaboration, rapid and/or smart identification, legislation imperatives, etc. Carry over parts and data reuse: concept product structures typically contain carry over parts that can be smart already, and that are combined with non-significant parts or structure components which are not (yet) ready for release to production or could be only experimental and never reach production (hence they can remain non-significant). Pre-production products: data is reused and matured from concept to pre-production / beta in order to validate product construct, features, performance, etc. This is a significant step toward go/no-go to formal production development, which require more traceability, supplier collaboration, data integration, from design to engineering, simulation, manufacturing and business teams that needs to understand when to hand-shake on certain deliverable milestones, how to feedback between each others, how to reuse and share information in a lean and effective manner, etc. Production products: when they are designed to manufacture / production, products require robust traceability, release and change management. Categorizing parts in standardized ways can create efficiencies in many manufacturing processes. In any manufacturing organization, pulling a part number should be an efficient and accurate process. It does not have to be complex, but it can become very complex if the smart part numbers are over-engineered with complex mappings and business rules. This can also make the EBoM to MBoM integration in PLM and between PLM and ERP very complex. Where are part number used? PLM tools can help create effective mappings and alignment constraints and reports to avoid carrying over complexity from one BoM to another. CAD product structures are used to innovate, manage multiple trial and version of the same data which can be used today or tomorrow on a different product. These structures typically only require simple or dumb part numbers are their construct is mostly relevant for design and engineering to iterate in their development activities. In the past, this was the world of PDM and the rest of the enterprise had to make sense of it somewhere else to do what else is required to bring the product to a reality. MBoMs are used put the the physical parts and components together, hence they will need to link to what was simulated and planned virtually at the EBoM level with what manufacturing needs to order, execute, etc. on the shop floor (link to ERP). Part numbers need to be smart in order to identify rapidly where they come from, what they are, who has produced them, how they will fit into the product that has been ordered and will be sold. They also need the traceability to what was engineered and certified in order to allow for change management, serviceability, warranty, etc. What’s by default in the PLM toolbox for part numbering? One typical challenge with BoMs and part numbers reside with the fact that there is no PLM out-of-the-box solution that will drive how these should be defined or how they should integrate / link. The tools will provide ways to define and implement the part number system. Examples are provided to illustrate how it can be done, but these require configuration. Beta products: smart or non-significant part numbers? On one hand, for concept and beta products, the most effective part numbers need to remain relatively concise / short, sequential, non-significant, and this is why they became preferred engineering practice. Data can be searched and organized using a small set of other significant attributes. On another hand, production part numbers require to be smarts so that they reflect where they come from, when and whom released them, etc. The business logic between this two states need to reflect the need for agility and traceability of the organization, the weight of the legacy data and systems that are currently running within the enterprise, etc. The product variant code should not be reflected in part numbers that (might / will) represent carry-over or standard parts used across multiple variants, products or platforms. Part numbers should not include version numbers or other maturity attributes that are changing during the development or manufacturing lifecycle – even if they are standard or common parts. Part versioning systems should not be the same between CAD, EBoM and MBoM to avoid complexity and confusion in trying to make it easier for xCAD engineers, while manufacturing should be driving the operations once SOP. This post was originally published on LinkedIn on 5 February 2016.